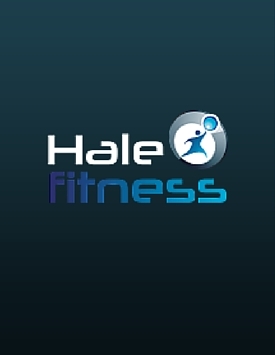 Get in the shape of your life and feel better than ever at Hale Fitness. 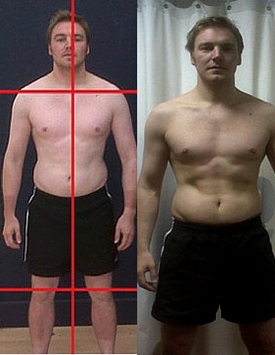 Sign up for a free consultation now to see how we can transform your body and your life! Nothing is above or beyond what you can achieve and at Hale Fitness, we will coach you through everything you require to achieve your goals. We do not mess about. We are here to do a job and we are a results based business. Your goal is our goal and we will get you there. Train every part of your body and push yourself to new limits. We specalise in 121 personal coaching. We look at every single aspect of your routine in order to truly change your physique and your life. We work so closely with our clients to change their lives. We look at your body as a whole, photograph it, measure it and set goals. 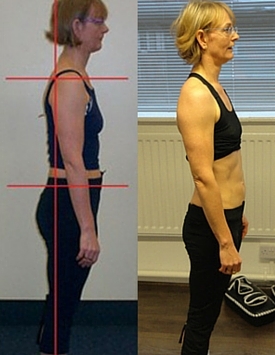 We then educate you on nutrition, we focus on exercises that isolate specific muscles to change you shape. We also lok at your lifestyle, your stress, your sleep, your heath and we become a BIG part of your lives. To be a Personal Coaching Client of ours you will be expected to comply with our plans and structures. Please DO NOT contact us if you wish for mediocre results. Please DO NOT contact us if you would lie to "get fit" and "tone up". PLEASE PLEASE PLEASE DO contact us if you want to CHANGE. Take Control: Take control of your life, take control of your body. Proven Results: Our muscle building and fat loss systems are so effective we promise life changing results or your money back. Custom Nutrition:We have strict protocols for individuals based on their body types, activity levels, intensity levels and goals that yield amazing body transformations. Advanced Training Methods: We have studied under some of the world's leading caches and trainers such as Charles Poloquin, The Poloquin Group, Phil Richards, Mark Coles M10 Fitness, Nottingham to name a handful. This is an exceptional and affordable tool for someone who is already focussed and motivated. This service has proven to be one of our best sellers to date! The question we always ask is ARE YOU READY for it? 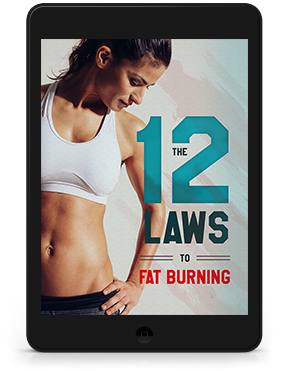 You will get full plans to follow from food, training to sleep and supplements BUT the danger is that YOU have to do it. We may never meet you! This programme is best followed by those who are self starters, who are motivated, focussed and results based driven. We have held consultations with many online coaching clients and decided not to work with them because they are not READY. If you feel ready then please contact us for a consultation. Physique: We base all our Online Coaching Plans on your physique. We look at you independently, break down your aesthetics and feedback to you to come up with goals too focus on. Check ins:We provide our Online Coaching clients with weekly check ins. This keeps both the coach and the client on track with progress and allows for alterations to a plan. Nutritional Planning:Completely customised and individual coaching on your nutritional needs based on your physique and training goals. Training Programmes: Unique training plans based on your aesthetic and training goals. We pride ourselves on correcting ‘bad’ posture. We enjoy working closely with each individual to help them correct muscular imbalances and strengthen weaknesses – this limits the chances of injuries. The better you move the better you can exercise. What does this mean? The better you exercise the better you can burn MORE calories – WHY? Because you engage your muscles better!! Do you ever start working out again and notice that you stand taller, carry yourself better and generally hold your posture better?? That’s because you engage your muscles better!! We pride ourselves on correcting ‘bad’ posture. We enjoy working closely with each individual to help them correct muscular imbalances and strengthen weaknesses – this limits the chances of injuries and takes away any referent pain associated with bad posture. Do you get sore knees? Tension in your lower back? Tight hamstrings? Maybe you have Kyphosis in your upper back (big curve?) What about an excessive anterior tilt of the pelvis…?? We could go on and on!! The point is that through weight training you can quickly correct it all!! We can also provide semi private personal coaching sessions in the gym. These sessions are perfect for those with similar goals and are generally offered at quieter times in the gym so that clients can get the most out of the sessions. As a qualified Personal Trainer, Virginia has acquired the knowledge to maximize individual’s physical potential and wellbeing within a fitness environment. She has a clear passion working with clients not only to develop their physical fitness but also their mindset around training, nutrition and mental wellness as a means to challenge the barriers of body confidence and promote positive wellbeing. Having graduating from University with a BA (Hons) Primary Education with QTS degree. 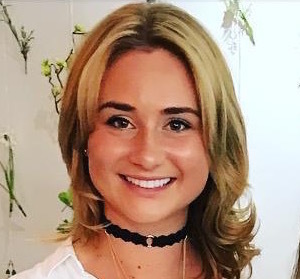 Virginia went on to teach in Alderley Edge before grasping the opportunity to utilize her coaching skills within a business environment working alongside the CEO of a prominent IT company in Manchester. Virginia’s passion for sport and fitness was developed from a young age, competing in team sports including tennis and hockey to a high level. Her dedicated and positive mindset has allowed her to challenge self-limiting beliefs to become a competitive sportswoman completing various races including the London Marathon. Combining her enthusiasm for sport and her ability to harness a positive mindset, she is a strong advocate of developing individuals in order to boost their overall performance in both their personal and professional life. Currently studying for a Masters in Psychology, she brings her knowledge and passion to each training session! Zoe has been passionate about health and fitness all her life - competing nationally from a young age in cross country, the persistence and training needed to succeed has been engrained from a young age. 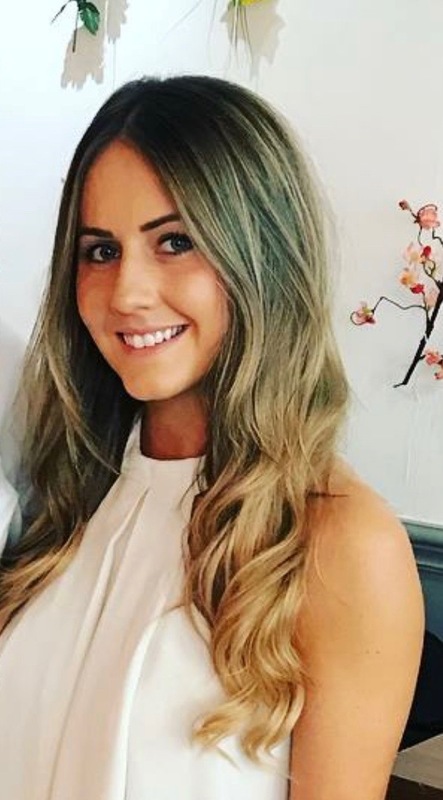 Zoe first swapped her running shoes for barbells when she was studying for her A-Levels, and although she still enjoys mixing her training up and getting out into the fresh air for a run - her real love for fitness lies within the gym. “I find the human body fascinating and love how what we decide to put into it and what we do with it can make a real difference - inside and out. I believe that health and fitness has three categories - nutrition, physical fitness, and mental wellbeing. When one is lacking, the other two consequently fall down too. My goal is to work with my clients to ensure that they love their bodies - not just by looking amazing, but feeling amazing about themselves whilst taking care of themselves and providing their bodies with the nourishment and fuel they need to flourish. There is genuinely no better feeling than helping another person achieve this. 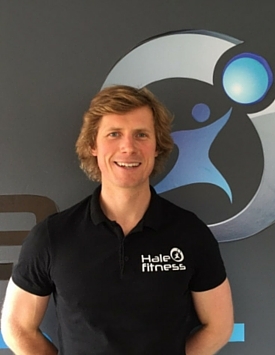 Owner and director of Hale Fitness, Stuart has been involved in the growth and development of the business since day 1. He is obsessed with helping people be their best. Stuart's co-owners are from all walks of life from professional sports people right through to the elderly and retired and school children. "Everyone has to start their journey somewhere and I love being able to educate, motivate and push clients to be better. We work closely on many things other than training. We want to be a massive part of our clients' lives and get them to take a holistic approach to their lifestyle and habits. This way they are much more likely to achieve lasting results"
Not many people can say that they truly love the job that they do. I count myself as one of the few that can because of my deep rooted passion for all aspects of sport and exercise. If I'm not training clients, helping them to get fitter, stronger and lead a healthier lifestyle, you'll probably find me running up and down mountains, riding my bike, in the gym, on a specific personal training course or watching sport. I always strive to perform to the best of my ability in all aspects of my life. I use my knowledge and many years of experience in personal training to ensure that my clients can do the same. I have played rugby to a high level; I've run marathons, half marathons, 10k and 5k races; I've competed in Olympic and Sprint Distance Triathlons and my main sport and passion is Fell Running. 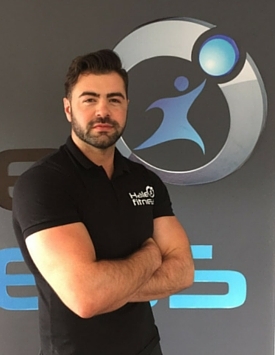 Over the past 6 years as a personal trainer, I have helped a large number and broad range of clients achieve their goals, from league one professional footballers to GB triathletes. Mainly however I've successfully worked with clients to achieve a variety of goals including increasing strength, reducing body fat and recovering from injury. I am also a fully qualified Sports Massage Practitioner. I believe that we all have a unique ability to achieve things, we never thought were possible; I'm convinced that I can help anyone to achieve their goals. 2005 while also studying for my final year in Sport & Exercise Science at Leeds Metropolitan. approach to ensure you will get results, week on week, month on month, whether its on a 1 to 1 basis, dual or online training. 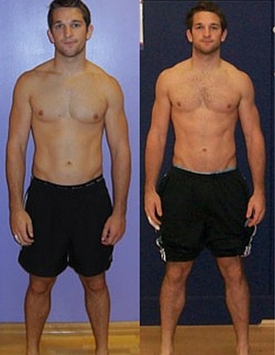 My clients are typically ready for change, and have a real desire to succeed in changing their body’s and lives. Harry's passion for fitness and sport started from a young age having represented county teams in rugby, swimming and football. Having carried out Sports Science at A level he completed his degree in a slighlty different field 'Finance and management.' 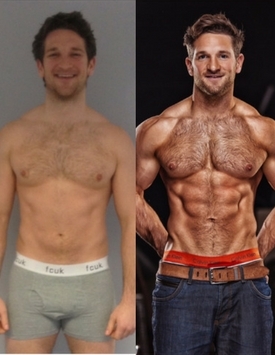 Since the end of his university days Harry has been involved in the fitness industry in some way or another and has been involved in developing strength and conditioning programmes for Univeristy and Club Rugby teams, coaching rugby and football players and even triathletes after completing his level 1 USAT course. 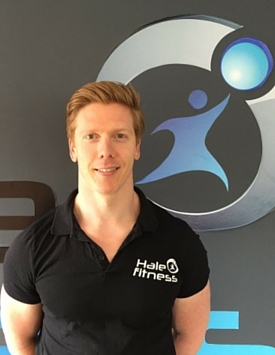 Harry has joined the Hale Fitness team to expand on his existing experience and continue his passion for personal training. I got my passion for getting stronger and training when I was 17 as I entered the gym as a timid overweight teenager with no clue how to train, so I know how intimidating that first day in the gym can be! 8 years later I've made a full turnaround and turned what started out as getting healthy into a passion and a career! I have experience training and competing in MMA, Rugby, BJJ. I have completed my degree Sports Rehabilitation at The University of Salford and specialise in postural correction, injury rehabilitation, sport specific training and turning you into a stronger, leaner more confident version of yourself! I’ve have been working the last 9 years a coach and massage therapist. 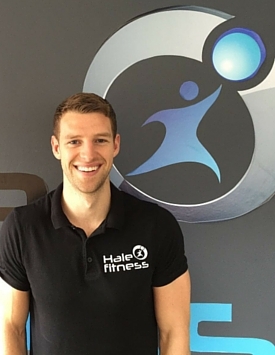 The knowledge and experience that I’ve gained over this time has developed into our own brand here at Hale Fitness. To use my owning coaching style out of my own exclusive personal training facility has always been a dream of mine. Here we strive for results and a high quality of personal service in and out of the gym. Hale fitness is unparalleled in its approach to training and nutrition. No matter what walk of life you’re from or what your ultimate goal is we have the skills to get you where you want to be. 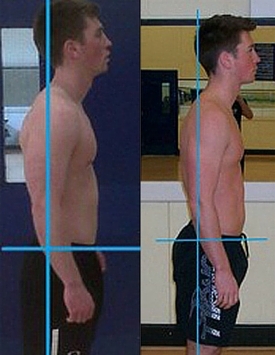 4 Weeks Posture Alignment + 3% Fat Loss. Dropped her excess Bodyfat by 2% from her “problem” areas in 3 Weeks. From 14% Bodyfat to 9.5% Bodyfat in 6 Weeks, No Cardio!!! I am a stone lighter and feeling so much fitter, stronger, thinner and happier. I could not have done it without Stuart. He has taught me the value of ‘you are what you eat’ and that exercise alone was not enough to shift that post baby weight. The 6.15 am training sessions three times a week fit perfectly in with busy family life, so much so it is now very much part of my routine and lifestyle.For any mums out there if you really want to get your figure back, stuart is the one who will be able to help you do that. Give it a go it really does work. 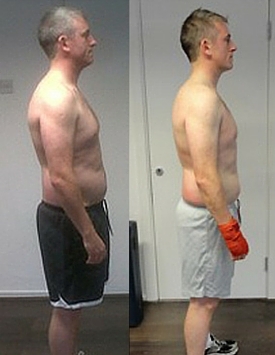 I initially signed up with Stu for an 8 week program and at the outset we had a goal-setting consultation during which it became immediately obvious that Stuart makes his clients’ goals his own goal. He fully understood where I was and where I wanted to go….. and he got me there. I was surprised at just how much I achieved and, after seeing the results that I achieved under Stu’s training, I have continued to train with him ever since and I really couldn’t ask for more from a personal trainer; Stuart is friendly, focussed, professional and is genuinely driven to see his clients achieve their goals. 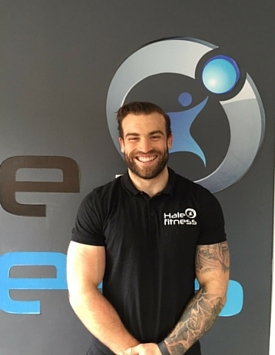 As a final point, you can expect far more than someone who designs work-outs for you – Stu’s knowledge of nutrition seems encyclopaedic which, in addition to his extensive and constantly expanding knowledge of strength and conditioning training, creates, in my mind, an unrivalled personal training experience.